Drenched in soul, nestled deep in a groove. This diverse album touches on bluesy rock on "All Over Again" and "American Dream," but also delivering rhythm driven reggae on "Trying to Believe," "Tin Can" and "Reconstruction." Funk and Jam fans will immediately fall into "Andelusia," "Situation Song" and "The Way It Goes." The band breaks out of boxes even more on the Americana tinged "Die Easy" featuring Joe Trombino of Urban Sun. The "Round Table Online" wrote "It's a rarity for energy of a band to translate so strongly on a recording, yet OTiS manages to pull it off with ease." 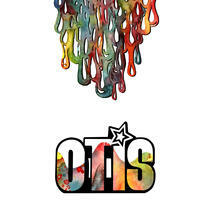 This is OTiS' debut album, and was recorded during the better part of 2009, and was officially released in March 2010. It is produced by OTiS' bass player, Dave Lowenthal, and mastered by Butch Jones at Beathaven. License Drenched in soul, nestled deep in a groove by OTiS for your project. Play the music of OTiS in your restaurant or store.